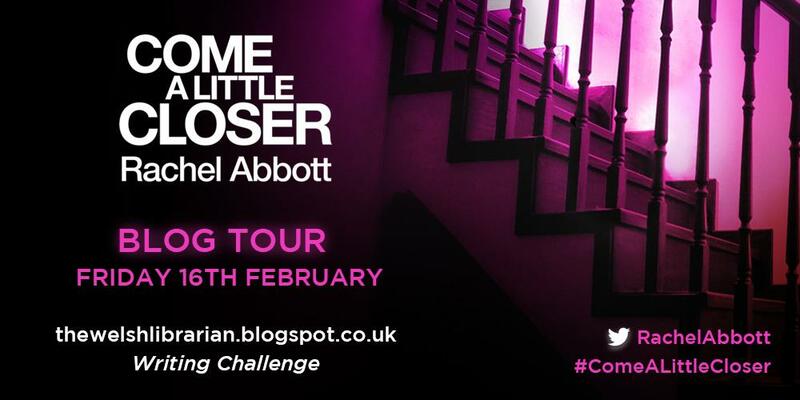 Today I’m thrilled to be taking part in the blog tour for Come A Little Closer. 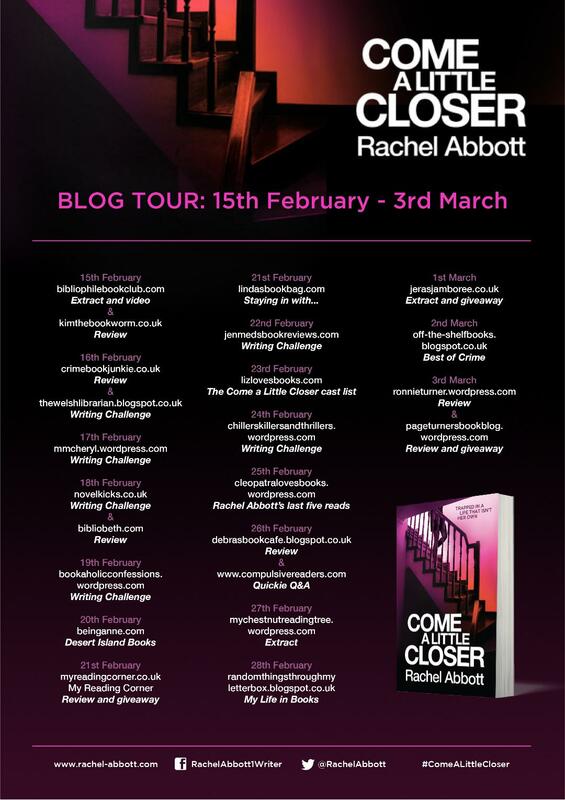 Rachel Abbott has written the opening paragraph to a dark and twisty thriller and challenged bloggers to finish the story. 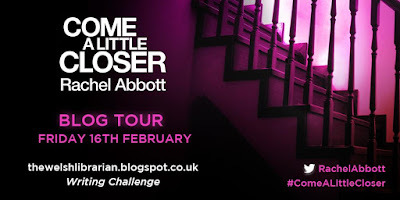 Armed with just the opening paragraph and four key objects from Come a Little Closer, we have to finish the story she started. *Rachel’s part is in bold. Gemma had been afraid of the dark for as long as she could remember. As a child, she had blamed the cold, ancient house they had lived in – its endless corridors had too many closed doors for people to hide behind, too many secrets concealed in the shadows. But now there was no excuse. Her flat was modern, open, with huge windows. It made no difference, though. Each night of the long winter months as she stood outside the block, she imagined all the doors she would have to pass before she reached her own, wondering if the lights in the hallway would be working, or whether they would flicker and go out, leaving her blind in the inky black void. Alone with her fear. As Gemma approached the flat and fumbled for her keys in her oversized handbag a glow from light of her smartphone caught her eye. Plucking the phone from its dedicated pocket she smiled at the notification and logged in to the app to read the Facebook post her best friend had tagged her in. Selina smiling in the selfie with what looked like a glass of sweet sherry in her hand. Only Selina thought Gemma to herself as she closed the app and shoved the phone back in her bag. If only I could get away... Selina was abroad somewhere, Gemma couldn’t recall exactly where, she was always jetting off somewhere. Gemma finally let herself into her flat and flicked the light switch in the pitch black hallway. She cursed to herself when nothing happened and the hallway is still in darkness. The single lightbulb unwilling to cooperate. Thoughts of the bath she was planning to have vanish from her mind as her irrational fear of the dark takes over. 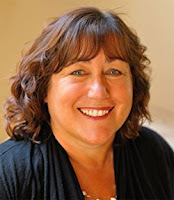 Gemma called out into the empty hallway knowing there was no one there but feeling petrified all the same. Gemma jumps about a foot in the air before realising it’s her mother’s voice on the answering machine, coming from the living room. The sound magnified in the darkness when Gemma was already scared half to death. What does she want now? Gemma thought rather uncharitably. Couldn’t it wait? Her mother’s voice at least encourages Gemma to leave the darkened hallway. She successfully flicks the light switch in the living room bathing the room in harsh lighting, which some would hate, but Gemma prefers it that way. She crosses the room to play back the message and is once more frozen to the spot in fear. My Review will follow soon. Back cover blurb: They will be coming soon. They come every night. They will be coming soon. They come every night. Fifteen miles away, two women sit silently in a dark kitchen. They don’t speak, because there is nothing left to be said. Fifteen miles away, two women sit silently in a dark kitchen. They don’t speak, because there is nothing left to be said. These strangers have one thing in common. They each made one bad choice – and now they have no choices left. 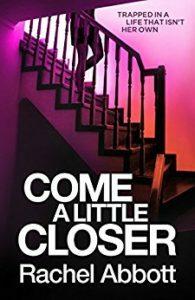 Soon they won’t be strangers, they’ll be family… When DCI Tom Douglas is called to the cold, lonely scene of a suspicious death, he is baffled. Who is she? Where did she come from? How did she get there? How many more must die? Who is controlling them, and how can they be stopped?